This course will help you learn the basics or refresh your knowledge and then provide a deeper understanding of advanced features to anyone interested in learning SharePoint 2013 from beginners to advanced users. In this blog we will learn about how to add a new data connection library to Excel Services Application using PowerShell cmdlets. SharePoint 2013 is a collaboration environment that organizations of all sizes can use to increase the efficiency of business processes. Excel Services is a business intelligence tool that allows you to share data-connected workbooks across an organization. Excel Services in SharePoint Server 2013 is a shared service that you can use to publish Excel 2013 workbooks on SharePoint Server. Why we are using these commands? Excel Services Application loads only workbooks that are stored in a trusted file location. Open your SharePoint Management Shell. Get-SPExcelServiceApplication -Identity "ExcelServiceApplication" | New-SPExcelDataConnectionLibrary -address "http://gowtham/site/demo" -description "This is Demo"
SharePoint 2013 Hosting UK – HostForLIFE.eu :: How to Creating Custom Gulp Tasks In SPFx Solutions? Let us see how to create and test the Gulp tasks in SharePoint Framework solutions. In my previous article, you can get the basic understanding of Gulp tasks in the SharePoint framework solutions. As we already know, Gulp tasks and commands help in automating the manual tasks required for solutions. These tasks are defined in the gulpfile.js. By default, some of the tasks or methods are loaded in the Gulp files. These tasks are required for building, bundling, or packaging the solutions. You could see each of these tasks in the previous article. Let us take a basic example of creating a task for incrementing the version of SPFx solution. This is the manual task required before updating or deploying the SPFx solution onto the SharePoint sites. Here, we will try to automate the same using Gulp task. The basic syntax for defining the task will be as follows. Likewise, any number of arguments can be passed. The below code sample shows gulpfile.js file which has the steps required for updating the version number using Gulp task. The task name is “update-spfx-solution”. The argument passed will be –updateVersion. This argument is to execute and validate the version updating steps only. Package-solution.json file is read using fs package. The file is parsed as JSON and the version number is retrieved. 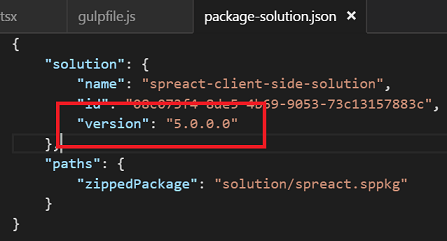 Version number is incremented and the same is updated by stringifying the JSON. The following snapshot shows the package-solution.json file before executing the command. The following snapshot shows the command executed. Thus, you have learned to create custom Gulp tasks which help in automating the manual tasks in SharePoint framework solutions. In this blog, we are going to see how to get the list of available groups and users from SharePoint site using PnP PowerShell. The below PowerShell command retrieves all the SharePoint Groups from the SharePoint site and its users with users count for the group. Get-PnPGroup PnP PowerShell cmdlet gets the SharePoint Groups from the SharePoint site collection. 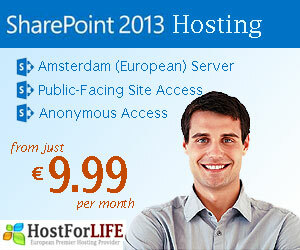 SharePoint 2013 Hosting UK – HostForLIFE.eu :: How to Add User To SharePoint Database Admin Using PowerShell Script? This course will help you learn the basics or refresh your knowledge and then provide a deeper understanding of advanced features of SharePoint 2013 from beginners to advanced users. PowerShell is essentially the same, but with a lot more power. You can type your commands there and see the results just like before. However, the benefit is that you can add your own “Shells” or set commands to enable the person using it to do more. Use the Add-SPShellAdmin cmdlet to add a user to the SharePoint_Shell_Access role. Specifies the GUID of the database or the Database object that includes the SharePoint_Shell_Access role to which you want to add the user. The Database parameter is not specified, the configuration database is used by default. The farm configuration database is always included- if you specify another database. This will add a new user to the SharePoint_Shell_Access role in the farm configuration database. This will add a new user to the SharePoint_Shell_Access role in both, the specified content database and the configuration database, by passing a database GUID to the cmdlet. Was my blog helpful? If yes, please let me know and if not, please explain what was confusing or missing. I’ll use your feedback to double-check the facts, add info and update this blog. The scenario I’m blogging today is common for both SharePoint 2010 & SharePoint 2013 Hosting. Also you can find so many blog posts written about changing SharePoint admin account password or changing SharePoint Service account password. But what if you use the same admin user in two farms in two different geographical locations. Assume, we have two farms, one in US and another in Singapore two directory servers enabled with AD Sync. Your requirement is to change the password of the SharePoint Setup admin (SP_Admin) which is a managed user that has been used both in US farm and the farm in Singapore to setup SharePoint. First you need to log in to one of the farms, go to central admin > Security > Config Managed Accounts. There you select the user, edit the settings and change the password of the user. Simple as that. But what about the other farm? Same process won’t work as you have already changed the password of the same user. Log in to the second farm, fire up SharePoint PowerShell window with admin privileges. Type the cmdlet given below. This will save your day. But let’s look into what goes behind. SharePoint saves all Managed user passwords in config database. So when we change it in the first farm it saves the new password in the config database. But now considering the second farm, it still have the old password saved in the database. If you try to add a new password, SharePoint will compare the existing saved password with the current password (which we changed in the first farm) of the user and will not allow you to change the password from the second server. So the easiest option available is to ask SharePoint to save and use the existing password of the user.